SureSource power plants deliver efficient, predictable, and affordable power where it is needed – without the emissions that harm the environment. 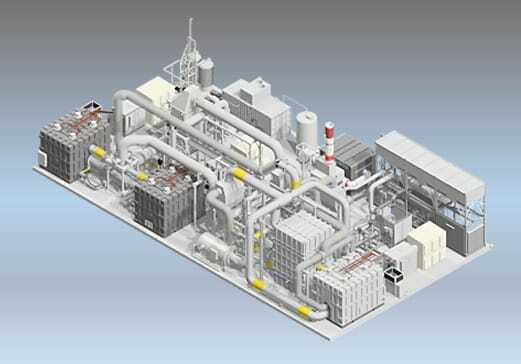 Utilizing the 2.8 megawatt SureSource 3000 that is configurable for combined heat and power applications or the 3.7 megawatt SureSource 4000 that is well suited for utility and data center applications with minimal heat usage, these solutions meet grid-scale power requirements of 60 megawatts or more. 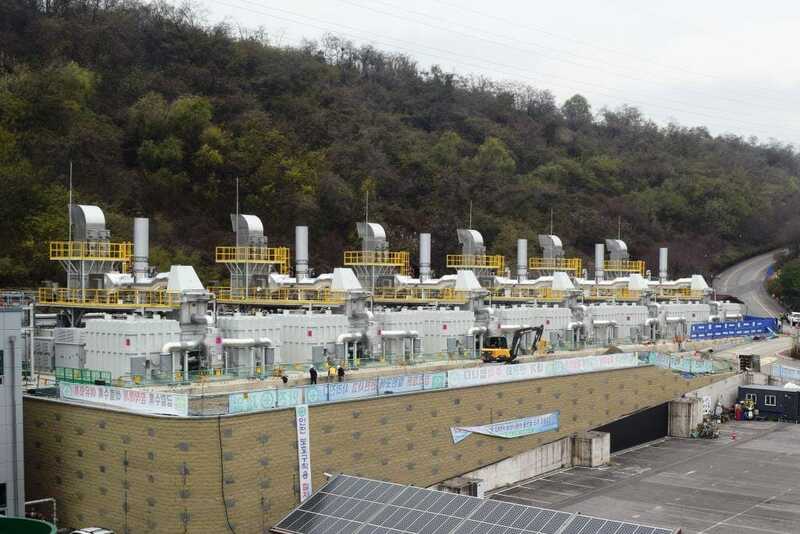 With operating fuel cell plants on three continents, SureSource power plants have been proven time and time again, providing reliable and affordable power where it is needed. Fuel cells use chemistry to convert a fuel source into electricity and heat in a highly efficient process that virtually avoids pollutants as the fuel is not burned. The combination of near-zero pollutants, modest land-use needs, and quiet operating nature of these stationary fuel cell power plants facilitates installation in urban locations where the electricity is consumed. Customers benefit with operating cost reductions delivered in a manner that supports sustainability goals and enhances power reliability and resiliency. 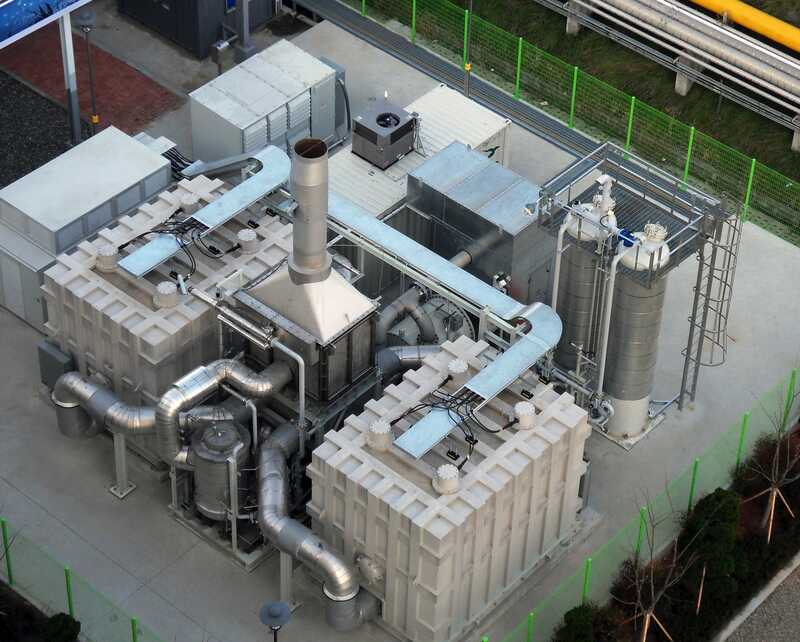 Our fuel cell plants generate both electricity and usable high quality heat/steam from the same unit of fuel; a configuration referred to as combined heat and power, or CHP. The heat can be used for facility heating and cooling utilizing conventional absorption chilling technology. 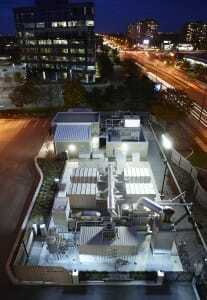 When configured for CHP, total system efficiencies can reach up to 90 percent, depending on the application.